Please send 300-500 word abstracts and a 1-page C.V. to Mark Sample at msample1 at gmu dot edu by January 9, 2009. There was no fitness center in his hotel. He found a gym not far away and worked out when there was time. No one used the rowing machine. He half hated the thing, it made him angry, but he felt the intensity of the workout, the need to pull and strain, set his body against a sleek dumb punishing piece of steel and cable. DeLillo captures the essence of the rowing machine: more than any other piece of exercise equipment, the rowing machine is a punishment, a throwback to the ancient days of galley slaves. But here the Barbary overlords with their whips and chains are internalized. Beset only by his own thoughts, the exerciser rows for dear life, chased by nothing and chasing nothing. The rowing machine is a self-imposed disciplinary sentence. With every stroke, one’s very life seems at stake. It’s like trying to outrow death itself. A strenuous workout on a rowing machine is as close to drowning on dry land one can come. It is also a pointless endeavor, and for DeLillo’s character, who has become a professional gambler in the wake of 9/11, its pointlessness is its very point. In true gambler fashion, he “half hates” the thing yet continues to submit to it. The anger it provokes is all that matters. A while ago I posted a few pics of my cereal box wall. I still occasionally come across a cereal box worth photographing, even if it’s not in wall form. 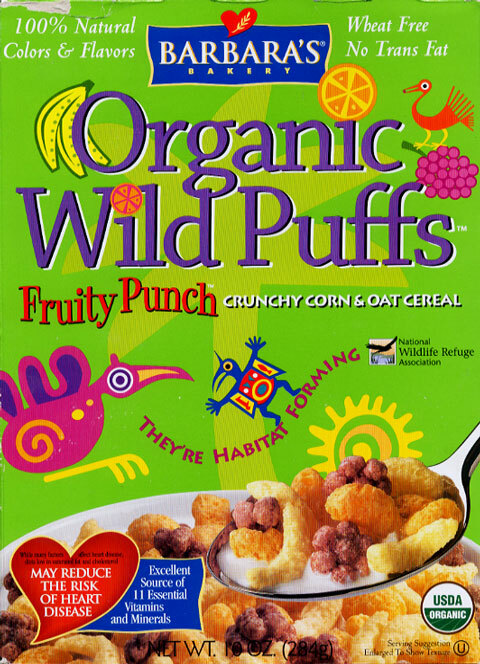 Here is “Organic Wild Puffs”—one of the trippiest cereal boxes I’ve ever seen (larger version). Decorated in faux-Aztec imagery, the box suggests a cereal that is part Fruit Loops, part mescaline hallucinogen. , Jack Gladney calls cereal boxes “the only avant-garde we’ve got” in America. Looking here at the drug references, quetzalcoatl icons, and vivid coloring, I’d say he might be right. 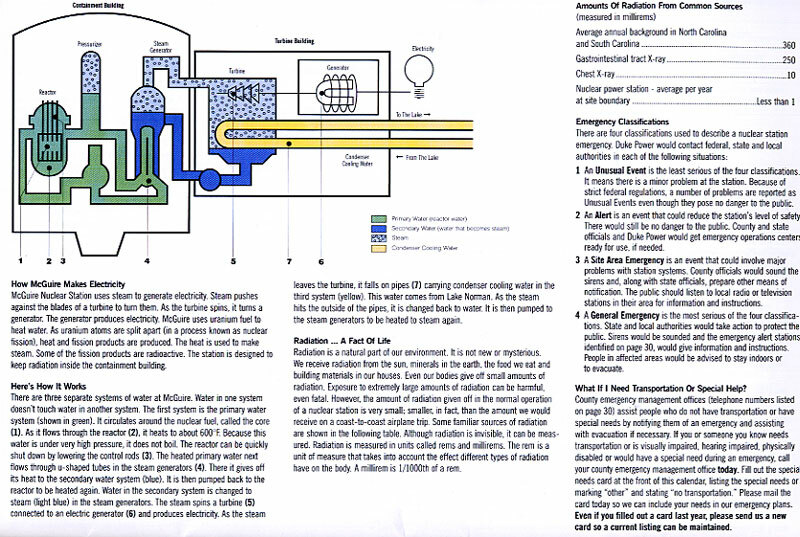 And “there are four classifications used to describe a nuclear station emergency” at McGuire. An Unusual Event is the least serious of the four classifications. It means there is a minor problem at the station. Because of strict federal regulations, a number of problems are reported as Unusual Events even though they pose no danger to the public. First of all, do they have to capitalize the “U” and “E”? Any event becomes Unusual when capitalized!! Secondly, I can’t help wondering whether these Unusual Events really “pose no danger to the public.” You’d think that after White Noise, in which an Airborne Toxic Event plays a major role, power companies would be wary of using the word “Event” to describe any, well, event. It’s been 40 years since JFK’s assassination. Still the conspiracies abound. My favorite take on the subject is Libra, Don DeLillo’s novel about the life of Lee Harvery Oswald. DeLillo has also recently participated in an online Frontline forum about Kennedy’s death. DeLillo calls the assassination “vintage American violence, lonely and rootless” — the implicit question then becomes, if that’s vintage, then what’s the new form of American violence?